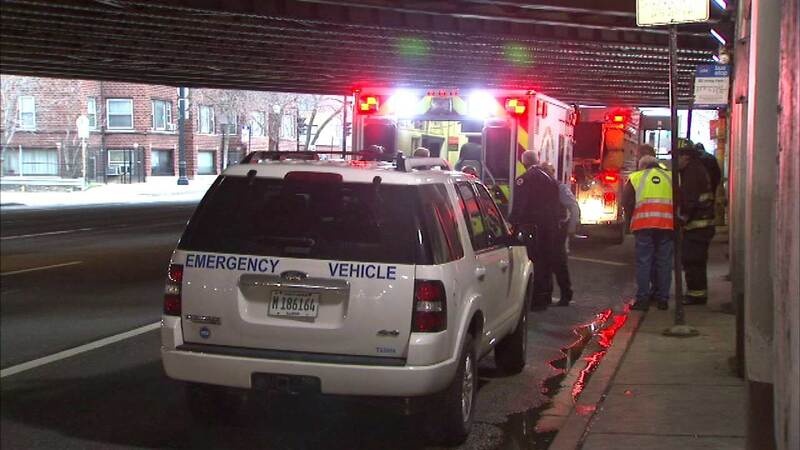 CHICAGO (WLS) -- Police say a woman who was brushed by the side of a Blue Line train Friday morning has died of her injuries. The O-Hare-bound train was pulling into the Irving Park station when the woman standing on the platform was struck about 6:30 a.m. The victim fell back onto the platform, CTA spokeswoman Catherine Hosinski said. A Chicago Fire Department representative said the woman, whose exact age was not known, was initially taken to Advocate Illinois Masonic Medical Center in grave condition. The Cook County medical examiner's office confirmed that she had since been pronounced dead, although further details were not immediately available. Power was cut for trains heading northwest for 20 minutes, but they were on the move again with residual delays by 7 a.m., Hosinski said.